Mama’s Broke are a young & powerful old timey/ folk country duo. They deliver a compelling show with heart and raw energy. Although highly influenced by their Canadian roots, Lisa and Amy are based out of nowhere and everywhere. 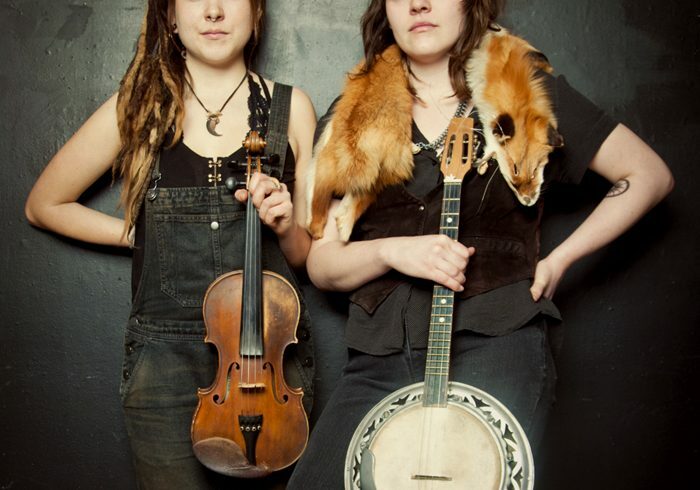 Their two strong voices blend to create haunting harmonies, while they artfully juggle fiddle, banjo, guitar and mandolin, and incorporate traditional dance and foot percussion into their performance. Their original – and often dark – compositions push the boundaries of tradition and the constraints of genre. Drawing from old-time, Quebecois, blues, punk, Celtic, Balkan and er ….doom metal, they create a soundscape that is both familiar and new. Shipcote & friends trio will open. This outfit opened for Ray Benson @ Sage recently.